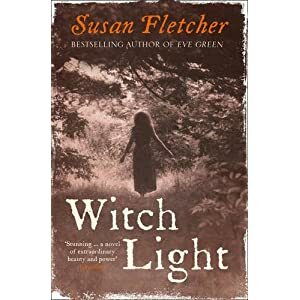 Just finished reading Witch Light. Witch Light is the story of Corrag who has been named ‘witch’ and condemned to die by fire. As she spends her last few days in prison she agrees to tell her story to a visitor who is particularly interested in events that took place at Glencoe. I must say that at the start of the book I thought I wasn’t going to enjoy this read but after the first few chapters I was totally taken with Corrag – in fact I was bewitched (sorry couldn’t help it!). To begin with I found the narrative voice a bit jumpy and almost repetitive but after a very short time the style became captivating and all the little pieces of information started to form into the bigger picture. The story is told mainly through Corrag but also with letters sent to Mr Leslie’s wife and these alternative writing styles help to break the novel up a little and also help to demonstrate the differences in beliefs between the two people. At the start Corrag’s visitor abhors her and can barely look upon her but over the course of the days spent listening to her story he gradually begins to see the lonely and persecuted life she has led. Frankly, it’s a surprise that Corrag had not become bitter given the life she suffered but she manages to retain such innocence and delight and still to believe that people are good. Eventually you can see the change in tide in the letters to Mr L’s wife, he is fascinated by Corrag, at first he thinks that she has cast a spell on him but soon enough he himself can’t wait to hear her story. Corrag came from a line of persecuted women and was doomed from the outset really. She runs away and after suffering great hardship comes to the Highlands (‘ride North and West’ her mother Cora told her) a place where she finally thinks she may live in peace. I can’t really pin down why I liked this book so much, it’s just little bits of everything. I loved the simple pleasures that Corrag enjoyed and also her little pieces of wisdom. The descriptions of the highlands and the wildlife was amazing, the writing almost poetic and the people that she finally befriends just so well written and frankly easy to like. They had hard lives but they had big hearts and strong loyalties. There is also a tale of love and then one of horror as the events at Glencoe come to pass. Obviously Susan Fletcher has researched her subject well. Her attention to detail is amazing – however, I will say this is more a story of Corrag and how she manages to change one person’s perception of her rather than a detailed historical novel. So, if you’re looking for the tale of Glencoe this might not be the book for you. The massacre that took place is certainly a part of Corrag’s story just not the main focus. I think this is more a focus on a time when people’s insecurities, petty jealousies and fear caused them to act in such a terrible way and commit crimes against, in this case, women who were simply different (and probably ahead of their time), so that having an opinion, being outspoken or simply having the curiosity to discover the whys or wherefores of a thing was enough to get you a ducking or death by fire. And yet, here we have a woman, persecuted and hated who will still put her trust in people and help those who need it most. Also, if you read this, you might want to have a tissue handy – especially about half way through – very touching (but I won’t elaborate). Anyway, I certainly enjoyed this, a lot more than I actually expected after the first few pages and now I’ve finished reading it I actually miss it and find myself wanting to reread some of the chapters again.